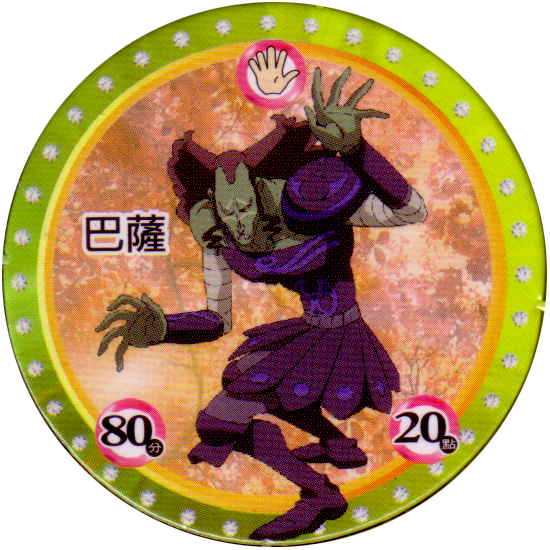 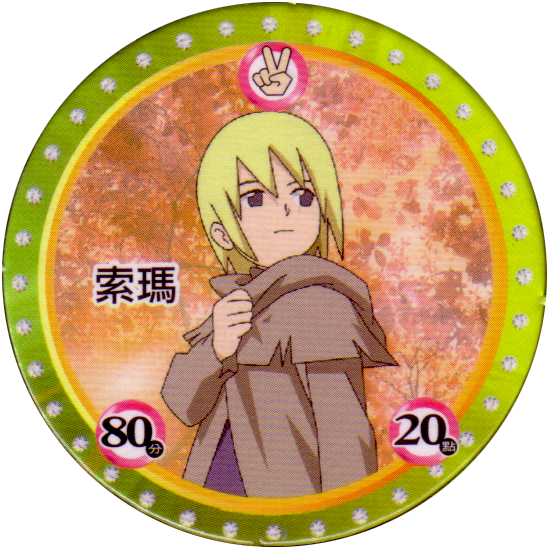 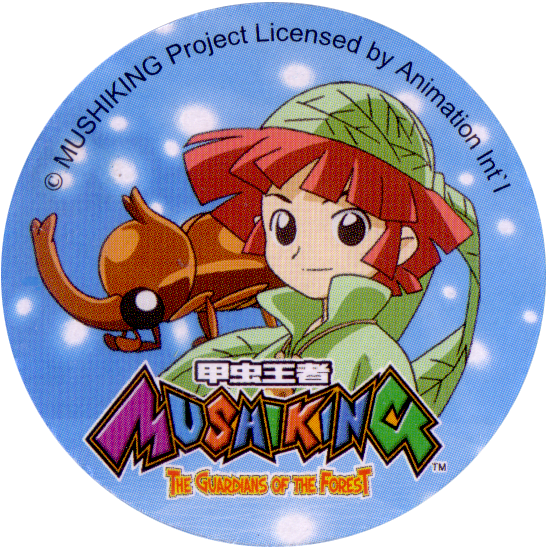 Info:These MushiKing pogs are based on the Japanese arcade game and anime series 'Mushi King'. 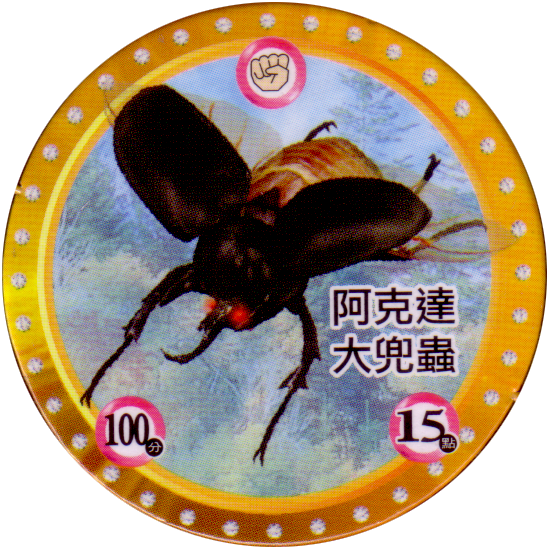 These pogs are from Taiwan, and are very similar to the Doraemon pogs from Taiwan. 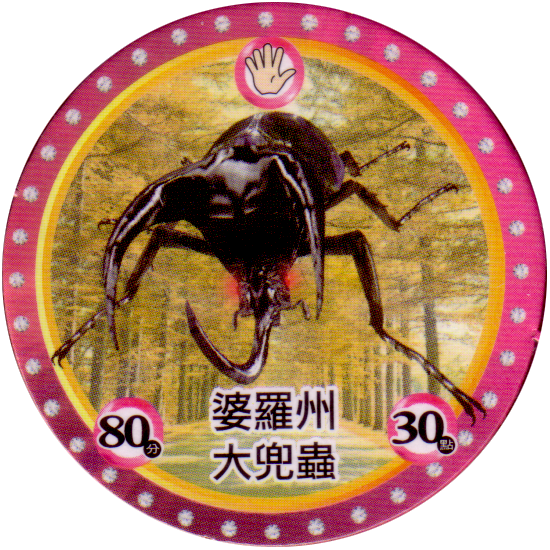 They come unpunched in a pack of two cards with 12 pogs per card, making a total of 24 pogs. 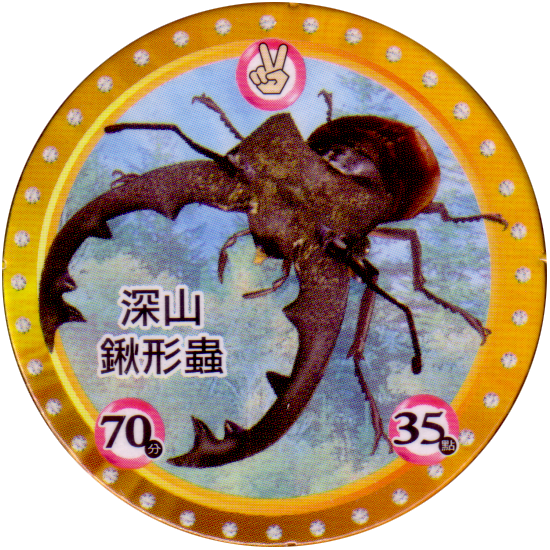 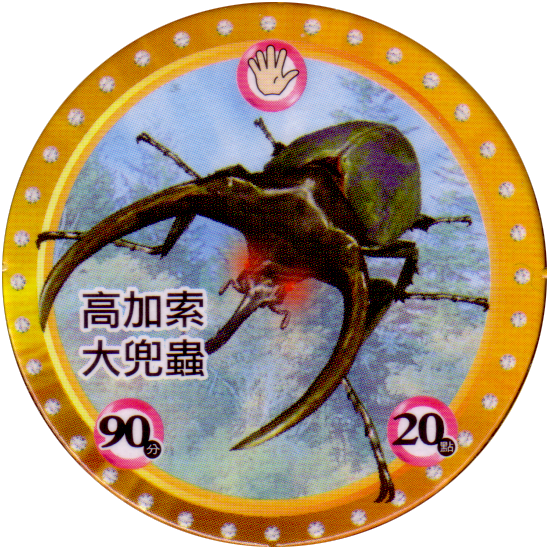 The MushiKing game is based on the old rock, paper, scissors game, and features various beetles. 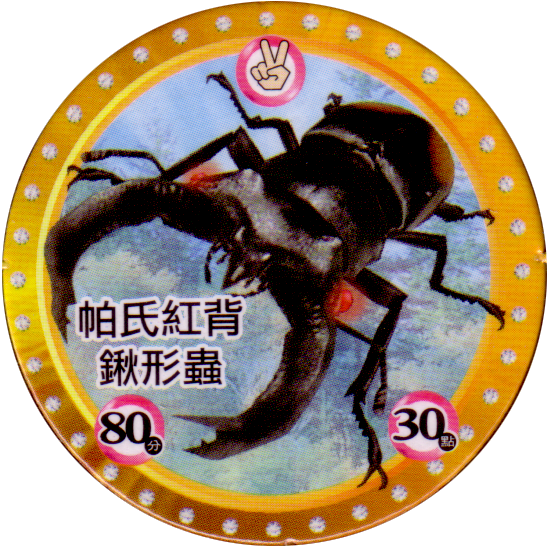 Similarly, these MushiKing milkcaps have a rock, paper, or scissors icon on each cap and also two point scores, 分 in the bottom left corner, and 點 in the bottom right corner. 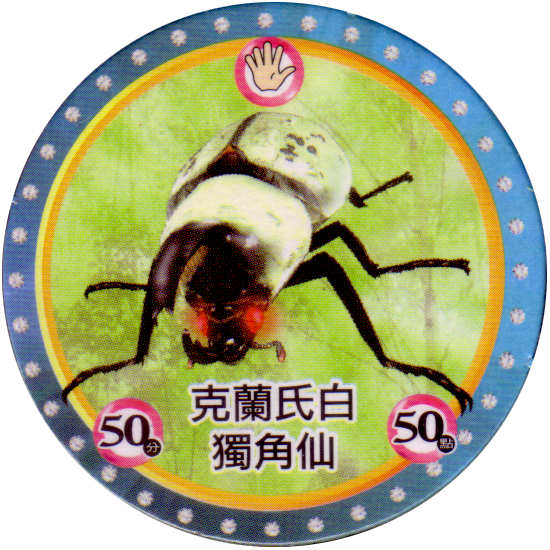 The front of each cap has an image of one of the beetles or a character from MushiKing, along with the name of the beetle or character in traditional Chinese script. 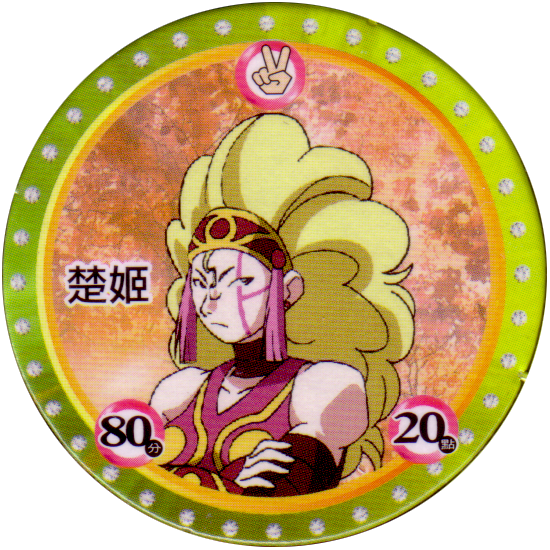 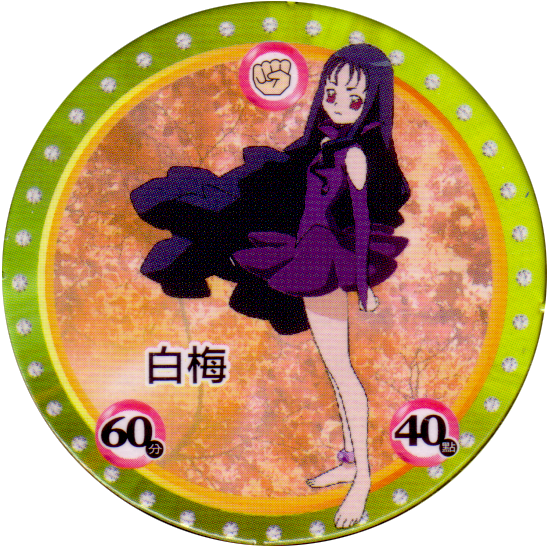 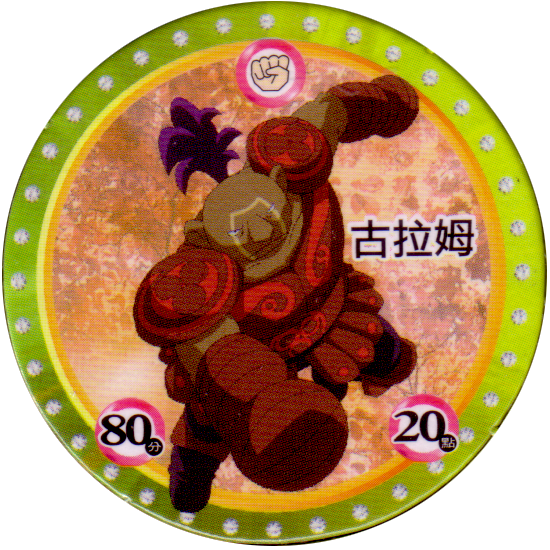 The MushiKing pogs aren't numbered, and all have the same back. 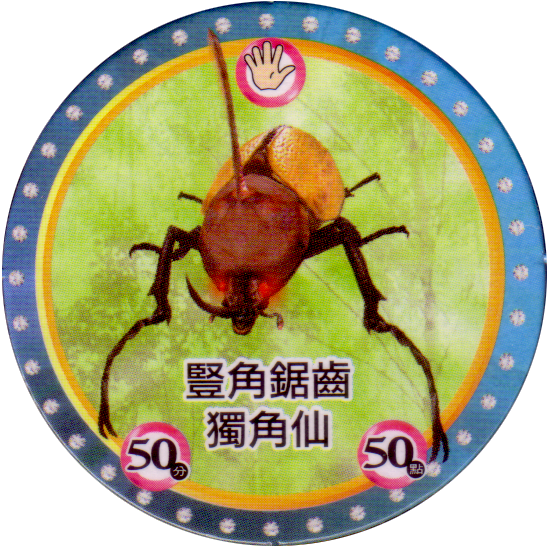 The backing card for the packet the pogs come in has a line drawing of a beetle on one side, presumably for you to colour in. 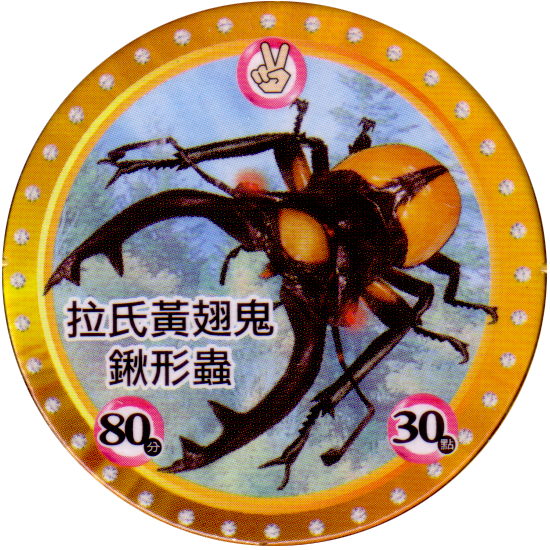 On the other side it has instructions for playing the game. 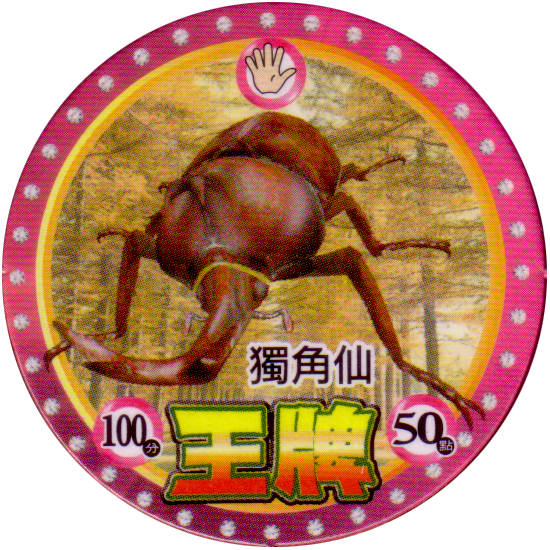 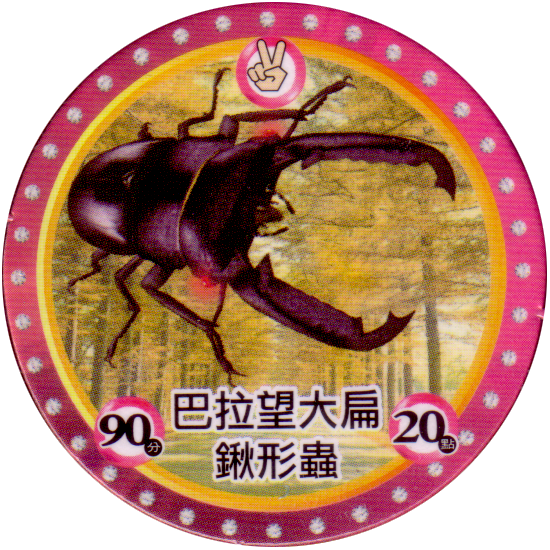 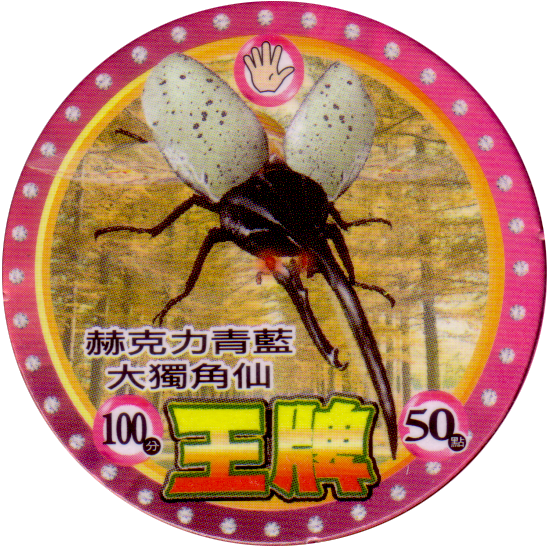 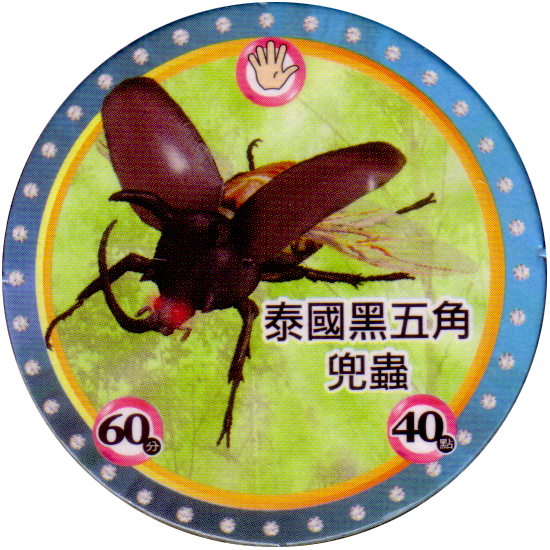 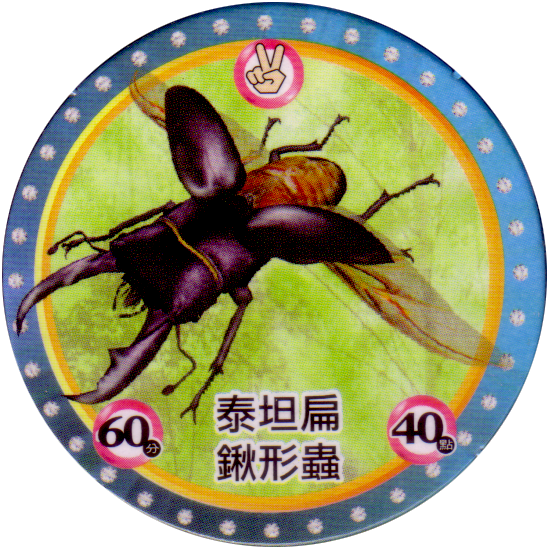 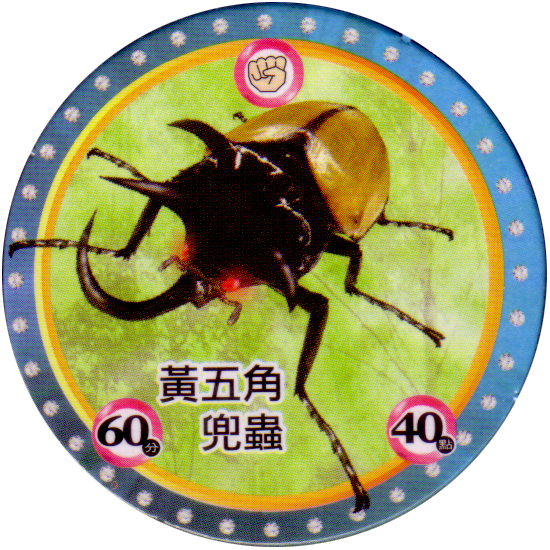 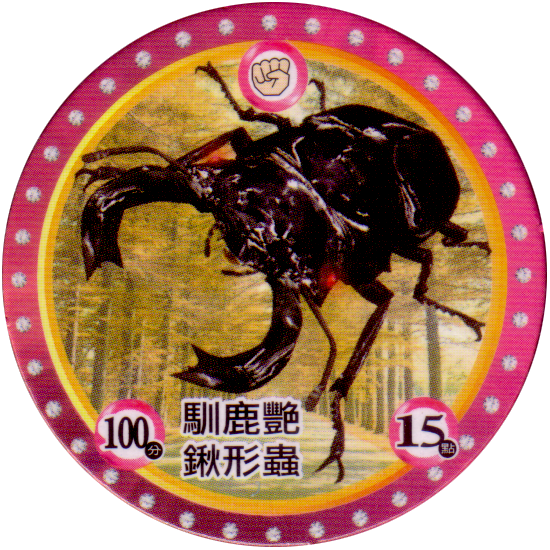 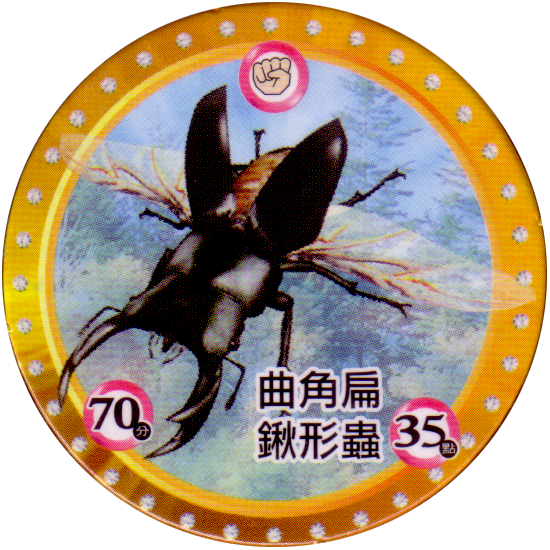 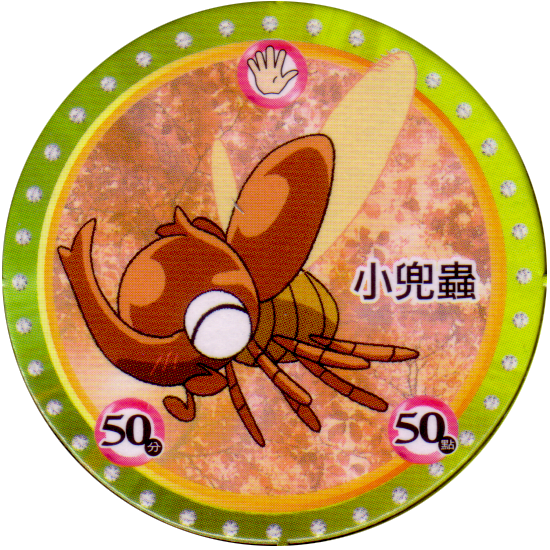 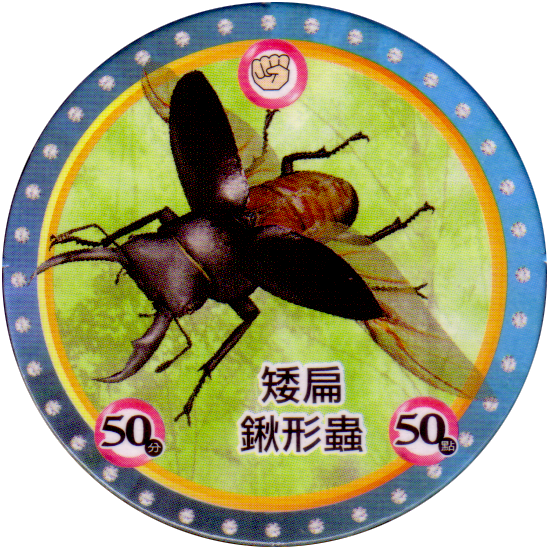 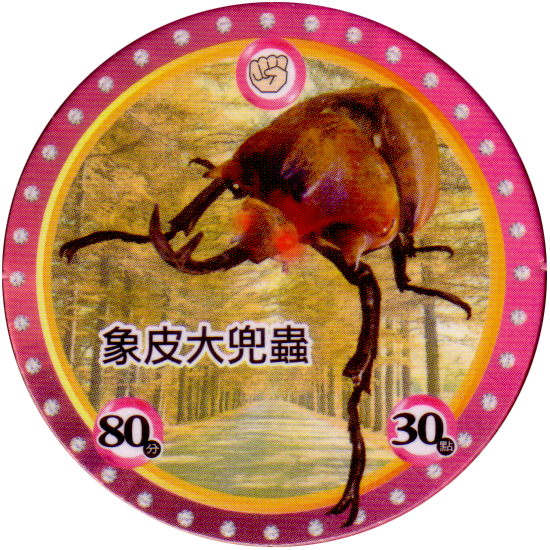 The title on the packet is '甲虫王者 決戰紙牌', which means Beetle King Card Battle.